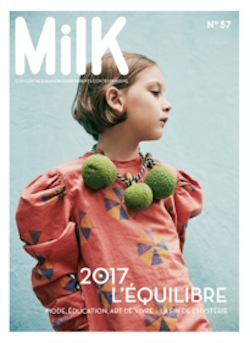 We’re honored to be featured in the latest issue of Milk magazine! Get an inside look at our founder Lorena Canals’ beautiful coastal home in Barcelona, Spain and find out why creating machine washable rugs was her destiny. Read on for a full translated version of the interview. Meet Lorena Canals, the founder of the iconic brand of lovely eco-friendly home goods. 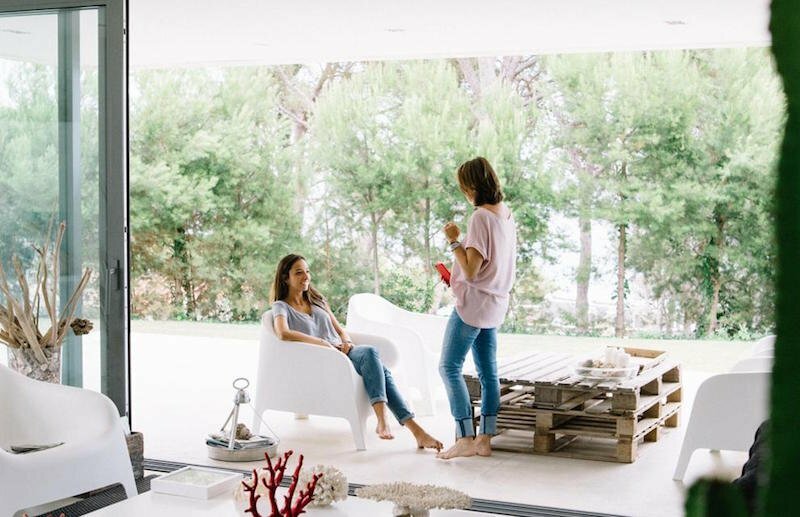 Come along with us to her coastal family home in Barcelona. Mother of 2 girls (Olimpia, 24, and Carolina, 19), Lorena launched her brand of kid-friendly home decor 12 years ago – a family business, eco-friendly with a special attachment to lovely materials. 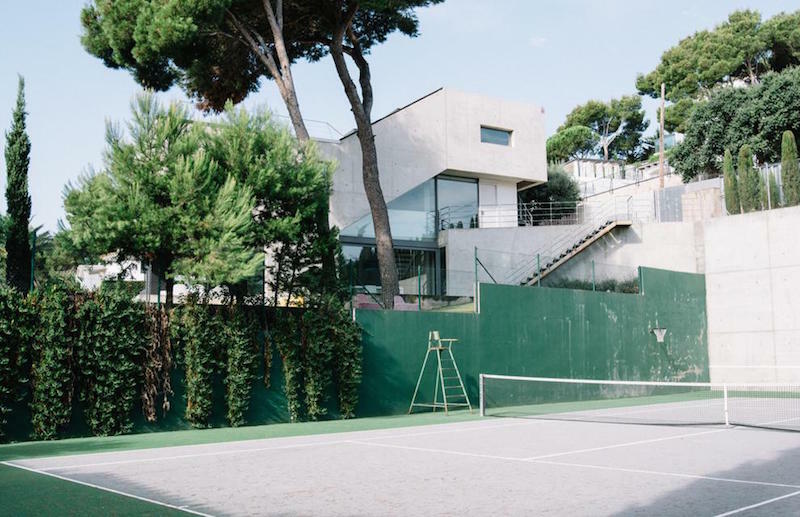 We met the Canals tribe at their custom home in Barcelona. No big deal! 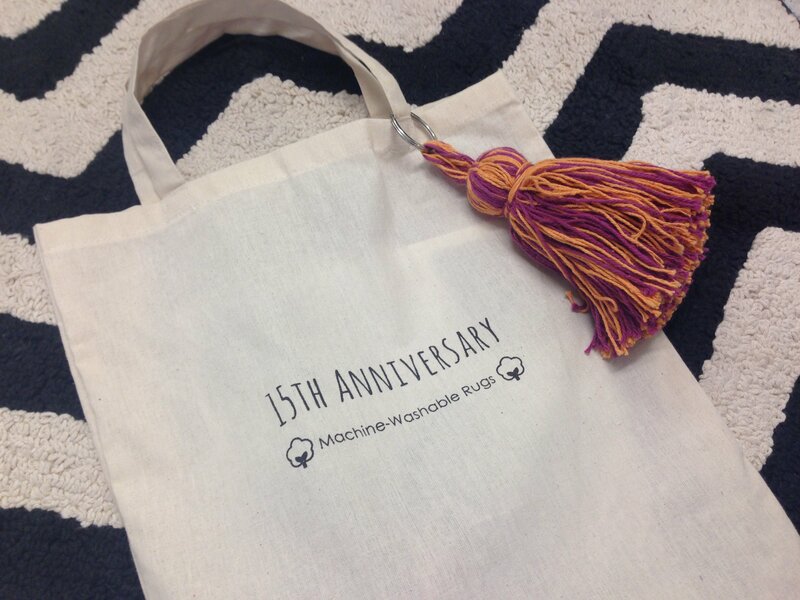 How did you get the idea to create machine-washable rugs? One day, watching my two girls play on a rug, I asked myself why it had to be so difficult to be able to wash them. Machine-washable rugs was an idea that would change parents lives! And so, I got started right away. I have always been an entrepreneur at heart. Before getting into rugs, I was creating lamps and teddy bears. It’s important to you that your production process and your products are eco-friendly. How do you choose your materials? We have our own factory and control everything from A to Z. For example, we use all-natural dyes. We go to India twice a year to look for new and more eco-responsible solutions and techniques. Every day, I call the team in India to find out if everything is going well, how the product is coming along, and so on. The rest of the time, I’m in the office, where I am always creating new designs. In fact, inspiration can strike at any time of day! What part of work do you most prefer? Without a doubt, the creation process, taking an idea from zero to a final product. I also love to study new manufacturing techniques and test new materials. How do you balance family life and being an entrepreneur? The brand was born from a need to nurture a work-life balance. Today, my daughters work with the marketing team. Having a family business allows me to spend a lot of time with my family, sharing and overcoming challenges along the way. My family was from the Costa Brava and I’ve always had a special connection with this place. I always dreamed of having a house on the sea, so when we found this place, we decided in 5 minutes. The whole family took part in the work. We wanted a lot of light (hence the very large windows), to hear the sea and the “tramontana” (the wind of the Costa Brava) and to admire the changes of weather. It’s a magical space which gives us a lot of ideas and inspiration each day. Share a few words that summarize the ambiance and aesthetic of your home. It’s rather industrial. The walls and floors are concrete or crystal. The furniture is minimalist and clean. I love our Philippe Stark pieces and Anne-Claire Petit accessories. The house grows with us: twice a year, we change the rugs and small decorations thanks to our new collections. When friends come, it’s always a surprise! In which room do you spend the most time? My studio. When I am dreaming up new collections, time passes like a sigh! One that I just mentioned, is a lobster cushion by Anne Claire Petit. I am a fan of seashells too. I often go out and collect a harvest for the house. What is your next decoration purchase? Some practical pieces that can go inside as well as out. For example, our Phillipe Stark lounge chairs are made of resin and we can put them everywhere. Anywhere on the Costa Brava, like Girona. What does a perfect Sunday look like for you? A Sunday when I can enjoy my family at home or at the beach! Bonus, what are 3 kid friendly places to visit in Barcelona? Barcelona is the ideal destination for traveling with children! Go to Parc Guell to enjoy one of Gaudi’s emblematic works, take a walk in the city center and discover the cathedral square and its narrow streets…. But above all, enjoy the Tibidabo’s centenary park with the best view of the city! According to Lorena, “this season, we are going to surprise you, I am amazed myself to see everything we have planned! Collections inspired by Spanish Terrazo, geometry, tie-dye, the galaxy… and this winter, the rugs will be artwork for your walls!” Stay tuned! To read the whole story in its original form, click here.